Abstract: Most people have not ever imagined that one day our society can be controlled by artificial intelligence. Is there any true feelings and love? Can people communicate like normal? In the movie of artificial intelligence, there describe a world full of robots. All kinds of robots are taking various kinds social functions. They are cold and programmed to act as told to do. They are emotionless and cannot feel anything. People all think that robots should not be able to feel what human can feel. They are just machines and tools. However, with the development of the society, and the happen of accidents. There are more and more parents whose children are dead or missing. They are eager to have someone who can be their companions. However, what they need is not only a kind of robot, but also a kind of emotion help or feeling healer. Then there is one company developed an artificial robot boy who can be comfort for the family that lost their children. The boy wants to be a real human cause that he can feel other peoples’ feeling. Finally he succeed in pursing his dream. After watching that movie, many people are just wonder that would the society be that smart in the future. The answer may not be sure, but the society are getting more and more artificial intelligent. 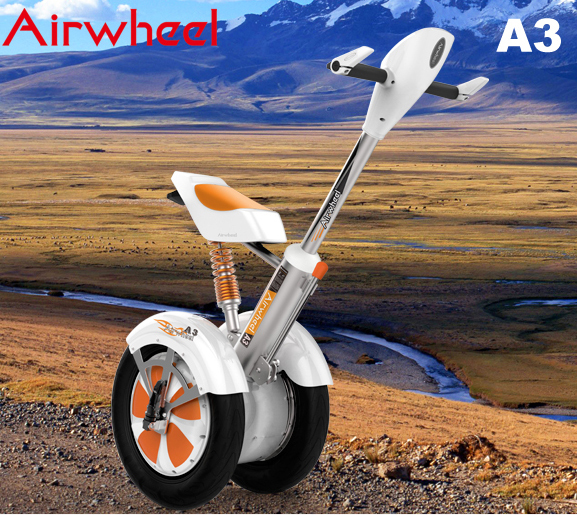 Airwheel is the best example. The smart A3 electric scooter is really special for many aspects. 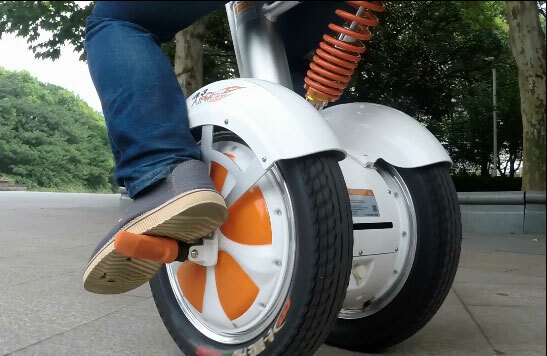 Besides the advanced hydraulic suspension and the electric brake system technology, the function of connecting A3 to rider’s smart phone and controlling the scooter through specialized APP is cool. It does really help riders in the riding. The riders can upload real time data about riding and the scooter on to data cloud that in smart phone APP. The APP would analyze the data and pass back visualizing data to you scooter on the super-large LED screen. The rider can check the temperature of the scooter, speed, mileage, battery status in the real time. Large view and huge data can make your electric self-balancing scooter the most intelligent one in the world. Maybe the artificial intelligence era would finally come to the society, but people should not afraid of it. It can really be a good way to show how people can be innovative.